Mission | America Pavers Contractors, Inc.
AS AN AUTHORIZED CONTRACTOR – It is our mission to offer courtesy, respect, punctuality and the ability to communicate to our customer. These are some of the most important attributes a contractor can have next to their basic competency. We are a fully licensed and insured installation contractor, with all documents available upon request. A member of ICPI (Interlocking Concrete Pavements Institute), and have many references available. We are a company that is known for top quality paver installation and design. We approach each job big or small with pride. And we are renown for our attention to detail. 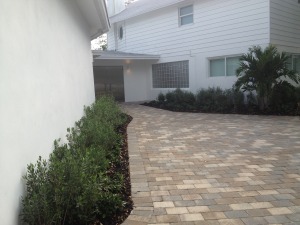 Here each step of the paving process is performed by our in-house crews to assure top quality. From driveways to patios and pools and retaining walls we do it all. At America Pavers our designs are more than practical; they are beautiful. America Pavers is south Florida’s leading paving company since 1989 we are proud A+ member of the BBB. Contact today for a quote on your project. We look forward to working together.